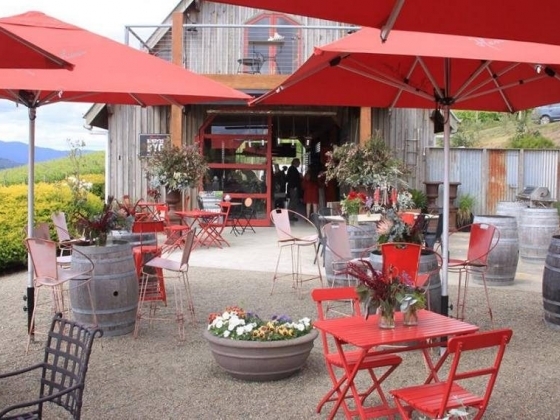 Hanrahan Vineyard | BYO Food and we supply the Wine! 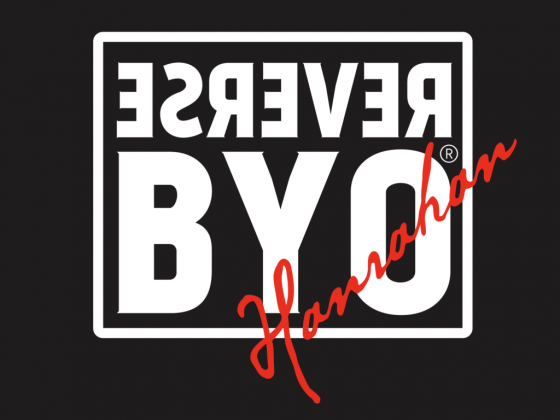 Reverse BYO! (You bring your food) Perhaps you’d like to try our ‘Reverse BYO’. Simply pack up your favourite nibbles (and your picnic blanket) and we’ll provide the wine, champagne, beer or soft drink. Groups of 10 or more are by appointment only. A gas barbecue ($25) and prepared wood fired pizza oven ($50) are available for hire. 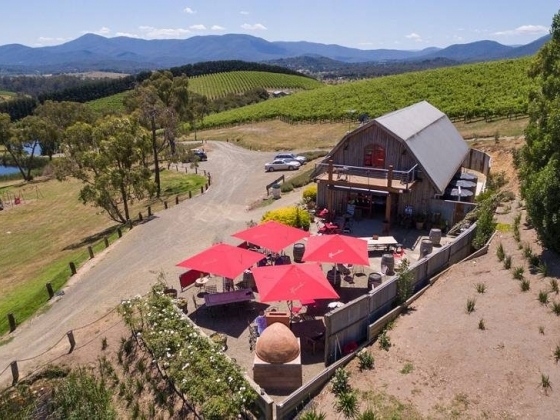 It’s Worth the Journey to Hanrahan Vineyard & Wine Sales As a family owned and operated business, Hanrahan wines is a must-stop destination when you’re visiting the Yarra Valley region. Your host, Bev, prides herself on a warm and intimate cellar door experience where you’re sure to meet her much loved dog Otis. This very handsome little blue comes with a beautiful temperament to take over the former role of our beloved Darcy as ‘Spoilt & Pampered Vineyard Dog”. He has finished his apprenticeship and finishing school and is now totally focused on protecting the Hanrahan Brand & Property. Did someone say ‘Ball’? Watch Out! Your friendly hosts will not only serve you the finest wine, but they’ll be able to tell you everything there is to know about it. They are involved in the entire process – from picking the grapes, to producing the wine, to labelling the bottle and then serving it to you. The quality of the Hanrahan wine range is reflected in their products of superior tasting wines which are beautifully balanced. We are open Friday to Monday from 11am to 5pm however we do close for Good Friday, Christmas and Boxing Day and for Private Functions.